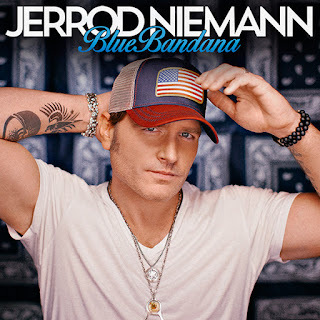 Jerrod Neimann is back with his impressive new single “Blue Bandana.” It is the first single off of his forthcoming studio album set to be released in 2016. The Harper, KS native recently said “The first two albums I tried to cover all the music I enjoy. This time, we mashed it all together and that’s what you do when you’re really attempting to create your own sound…” After hearing this song it’s definitely safe to say Neimann has successfully created his own sound. “Blue Bandana” is a song about a free spirited girl with a love of music that has her traveling all over the place to attend music festivals such as Bonaroo, Coachella, Woodstock and Lollapalooza, just to name a few. It leaves the listener wanting more of what’s to come from his new album. Listen for “Blue Bandana” hitting radio July 27th.